flickr security flaw allows you to grab photos you're not supposed to. as a photographer, sometimes you don't want your photos to be easily downloadable. 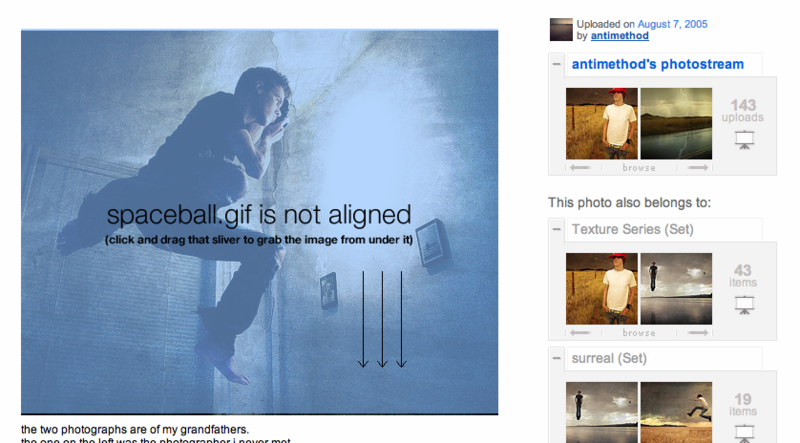 flickr prevents this by overlaying a transparent image called spaceball.gif, so when ordinary people right click and try to save the image, they get the gif, and not your work. so i thought. 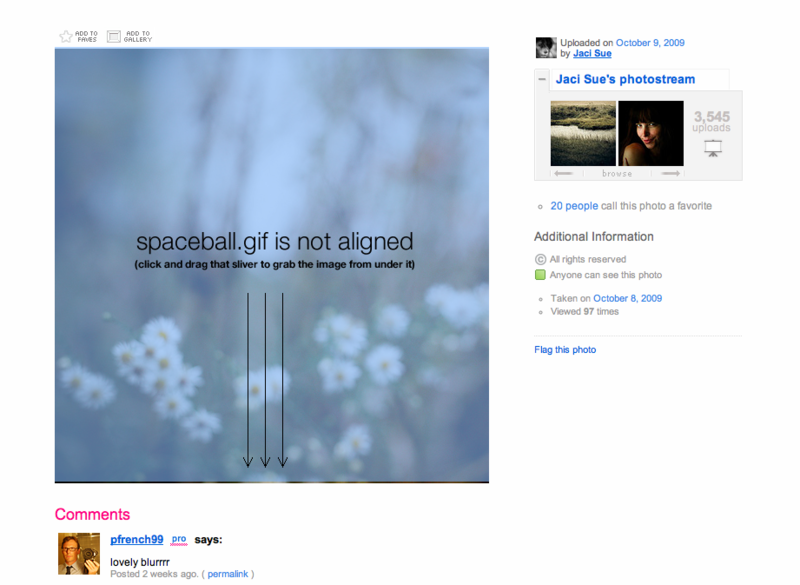 browsing flickr today, i noticed that in some cases, the alignment of spaceball.gif is SLIGHTLY OFF, allowing users, if they highlight the image, to find an exposed sliver of the original that's ripe for the picking. i even logged out and tried it on my photos. wayyyyy not cool flickr. submitting this one to the bugs forum.